League of legends is a role based massively multiplayer online game. The player base is exponentially increasing with each passing year. With over a hundred champions to choose form, it makes league very versatile and interesting. Each champion is unique and gives the players a free will to choose what appeals to them. Some champions are strong while others are not. 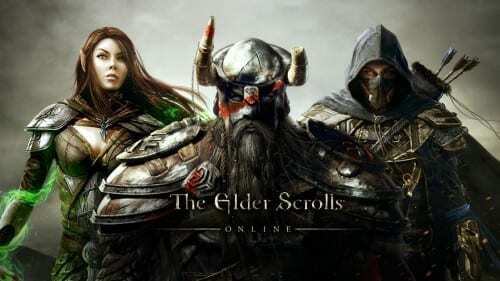 It depends on your experience with a particular champion that makes you use even a seemingly weak champion to good use. 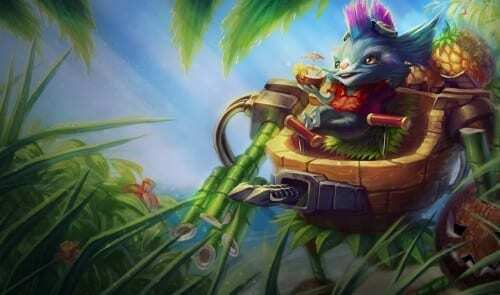 In this list of 10 Best Top Lane Champions In League Of Legends 2019 you will find champions ranging from different difficulty categories but all of them are strong and hit like a truck on your enemy. 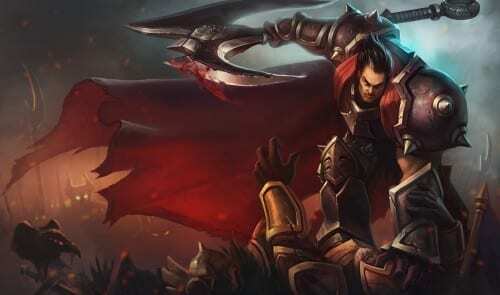 Ever since his release, darius has been a power house in the top lane. Even after numerous nerfs to his ultimate and other stats, he is still a strong champion. His real strength is in the early game. Champions like darius are categorized as the “lane bullies”. Their purpose is to use their insane early game damage and win the lane as soon as possible. If you are not bullying your enemy as darius then you are doing something wrong. As far as itemization is concerned, you can make some damage early and then later on go towards becoming a tank for your team. The weakness of darius is slow movement, lack of any escape ability or stun. This means if you get caught in team fight then you are in some serious trouble. To sum up, you must be brave to play champions like darius because he has a high risk of losing but once you master him no one will stand in your way to victory. Do not be surprised if you see a number of lane bullies in this list. They are simply too strong. 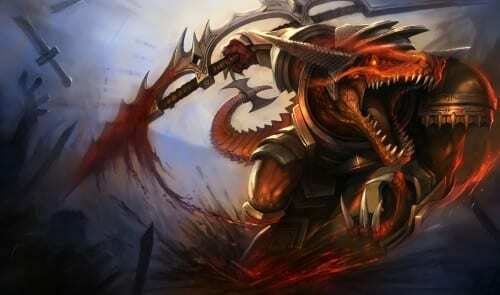 Here is another one and he is Renekton. 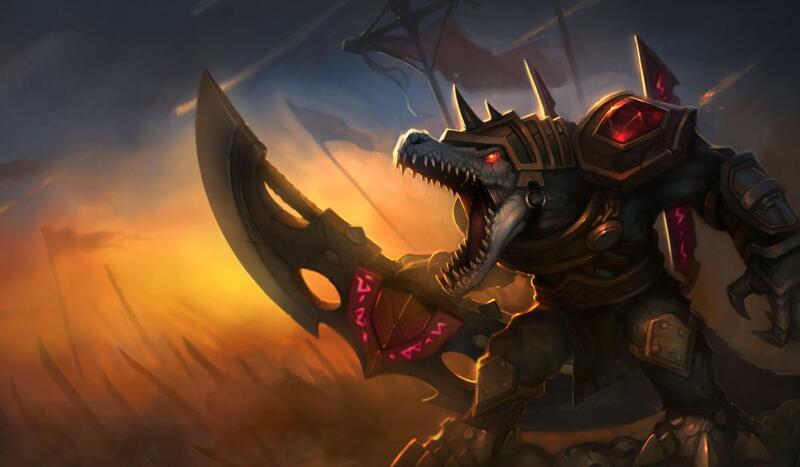 With Renekton you have a tank that has escape/chase ability, a stun and area of effect damage ability with an ultimate that gives bonus health. This makes him a combination of doom for the enemy team. Based on the game situation, you can go various build paths from damage, full tank, or off-tank. Renekton is almost possible to dual in the early game but he falls of later on. The key here is to push as much as you can to the enemy tower and lure the enemy jungler to top lane. Most often your enemy will have low hp and when ganked he will try to come out of his tower. This is when you can be smart and either focus the under level jungler or the low hp laner. As Renekton, mostly you would get a double kill, he is just that strong. The man with a lantern has been torturing not just his lane enemy but the whole enemy team for as long as we can remember. 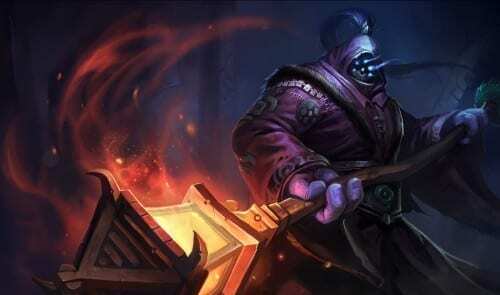 Jax is one of those champions that are relatively strong early and scales into a beast in the late game. 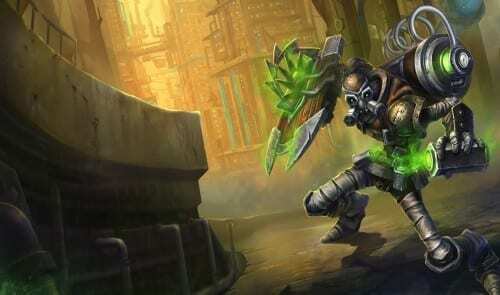 He has gap closer, an area of effect stun and a passive that gives him bonus damage on every third auto attack. The way to go on jax is to farm up for as long as possible because the later the better. You can also dominate your enemy and also get a couple of kills. Be warned if you try to be too aggressive and lose some farm you will turn into a mere punching bag for the enemy team. Yes, he needs his core items and without them he is not so useful to put it in a nice manner. Tank champions have become a hit in season 4 because of long games that benefited tanks. Maokai is one of those beneficiaries. In the past he was just seen rarely as a jungler with his strong gank ability but he shined brightest when used in the top lane. His early game face to face dual power with strong game and movement impairment make him a strong pick. As Maokai you can farm safely in lane and clear waves efficiently. Maokai shines in team fights with his ultimate’s damage reduction. If you know how to position yourself in a team fight, then you can absorb tons of damage from the enemy team and save your team. This makes him a strong player in team fights turning the game around single handedly. Mundo goes where he pleases and yes he has made his way to this list. Who can dare to stop him when he carries around those huge cleavers? Mundo is undoubtedly the strongest tank in the game. His bread and butter are to farm safely from distance with his cleavers and tank up. Stack as much health as possible to increase the regeneration of his ultimate. Do not be fooled, he might look dumb with his tongue sticking out; he can also pack quite a bit of damage with his cleavers and area of effect abilities. His E gives him tons of bonus AD and even the auto attacks hurt like getting hit by a truck. What is the first thing that pops up in your mind when you see a Nasus? “I will Q, they will QQ”. 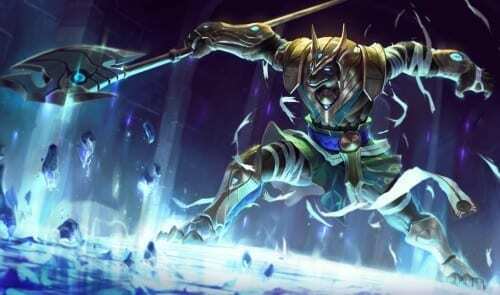 If you are a league of legends player and must have at least once came face to face with a beast Nasus that makes tanky items but deals a unbelievable amount of damage with his resonating strike(Q). As a Nasus you have just 1 job and it to farm as much as possible by last hitting with your Q. This gives him a never ending stack of physical damage. It makes him super strong late game with a never ending slow and an ultimate that gives bonus health and area of effect magic damage. Nasus can also be used aggressively in lane but getting a kill on the enemy is not worth the wasted farm. 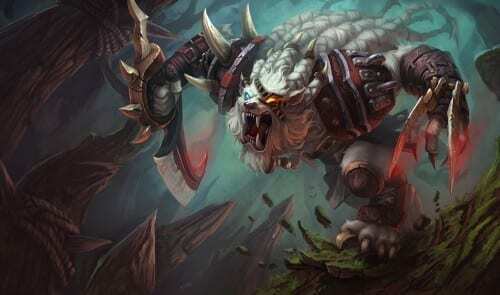 Some of you might be surprised to see Rengar in this list because he is considered weak in lane and strong in the jungle. This again comes down to your skill and experience with a particular champion. Rengar is one of those champions that if you know how to play him, you can become a nightmare not just for your enemy in the lane but also his entire team. 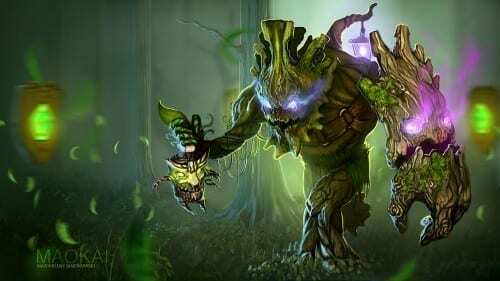 His strength in lane is safe farming with his passive that allows him to leap from bushes. What this does is it saves you the free auto attacks of your enemy by being in the fog of war and it also keeps him constantly on alert. Who knows when a 5 ferocity Rengar will leap on you and not the minion this time? We all remember the times when Irelia was released causing havoc everywhere. A stun/slow with true damage auto attacks made her too ahead of her time. This cause Riot to land out multiple nerfs but to this day, she is still a very strong champion. The reason why she is among the top 3 is her ability to bully in lane and still scale of well in the late game. 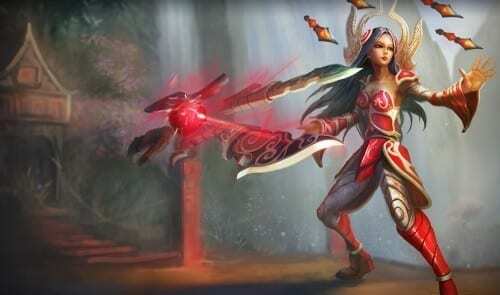 What this does is ok you have managed to shut her down in lane but if she can farm and get her core items, she will one shot your apc or adc in a matter of seconds. She can be caught up in CC but if you focus her, her team will be free to do what they want. This is how it is and you just have to outplay her with your skill and experience. Rumble has had his times to shine in small patches. One of the recent one has been the late season 4 with the top teams in the world picking him up regularly for the top lane. Rumble is a strong lane champion but his real utility is his ultimate that is enough to change the outcome of any team fight. They key here is the placement of the ultimate. The trick is to land it behind your enemy so that their escape route is blocked. From one side your team is pushing and on the other your ultimate is dealing tons of damage and slowing enemies. This is good at creating panic that makes people do foolish moves and it is this chaos that wins you team fights. The ultimate can also be used to save a losing team fight by landing it between your team and the chasing enemies. This will give your mates valuable time to escape and heal up to fight again. He might not be used as often as used to be but it does not mean he is not strong. All of us have come across a skilled singed player that just makes the game a nightmare not just for the lane opponent but the jungler as well. He is just too strong at chasing, escaping, crowd control. He is also an excellent troll that can make you rage quit.Experienced singed players can farm between enemy towers that deny his opponent the ability to push and take his tower and also lures the enemy jungler or mid laner towards top lane. His ultimate gives him bonus armor, magic resist and movement speed meaning that although his health might be very low but still his bonus stats can bait even the most experienced players. The build paths on singed are very flexible with ap, tank, ap plus tank builds in the business. Your success on Singed comes down to your experience and skill.